An exhibition titled “ART DOLLS: Silent voices” by young artist Tran Thu Hang is currently on at the Japan Foundation Centre for Cultural Exchange in Hanoi. Exhibit "What I was taught at school"
Dolls with dainty and detailed facial expressions and postures are on display, leaving a deep and unforgettable impression on visitors. Besides a collection of 12 art dolls made from 2007 – 2009, Hang also displays 8 brand-new art dolls inspired by Japanese and Vietnamese cultures. “In children’s mind, dolls always live but they cannot talk. 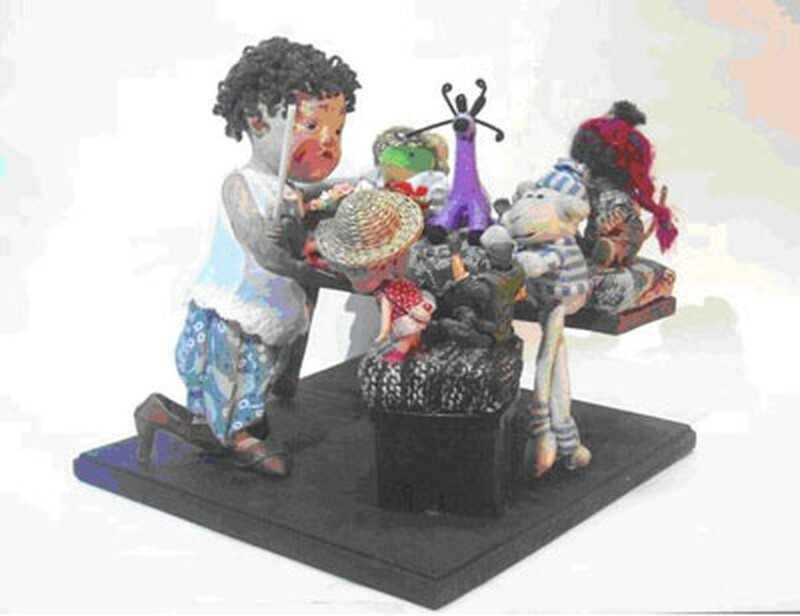 I bring voices and soul to my dolls and take visitors to a world where the whispers of dolls can be heard, where their stories can be listened,” said the artist. Tran Thu Hang, a freelance illustrator, graduated from the Vietnam University of Fine Arts. She is a pioneer in bringing the visual impact of “Art Doll” works to Vietnam. The exhibition is part of a project entitled “Young Talent Series,” in which the Japan Foundation Centre for Cultural Exchange in Vietnam aims to provide an opportunity for young Vietnamese artists to exhibit their artworks in solo exhibitions. The display is on until October 7.